For comfortable and stylish group seating the whole family can enjoy, this sectional sofa is just what you need. Designed with a lengthy chaise on its left and a three-seat armless sofa on its right, this sectional offers plenty of room for sitting and socializing or sprawling out and lounging. 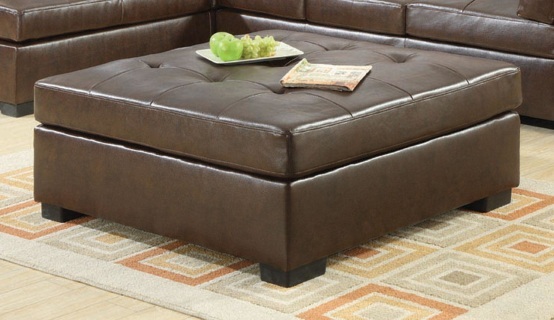 Upholstered with thick box-faced seat cushions and plush button-tufted back pillows, this sectional is built for your leisure, offering sleep-worthy comfort and effortless support no matter where you sit. 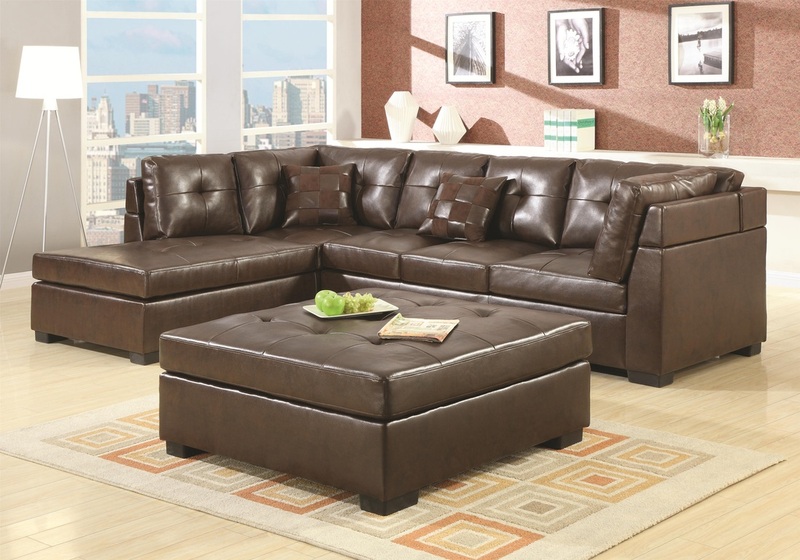 With its crips lines, block wood feet, and black leather upholstery, this sectional exudes a sleek contemporary style that will bring casual elegance to any room. Topped with matching knife-edge throw pillows for added style and support, this sectional will quickly become everyone's favorite place in the house.